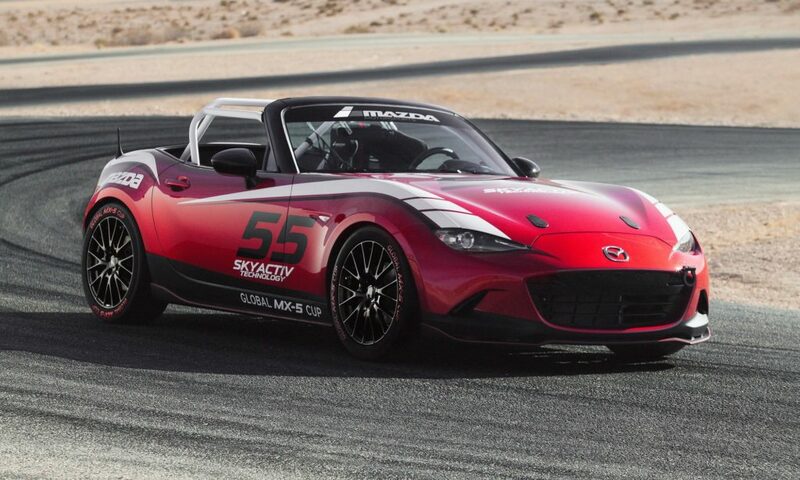 We have made no secret of the fact that we are fans of the Mazda MX-5 here at Double Apex, heck, we even have our own MX-5 track car. 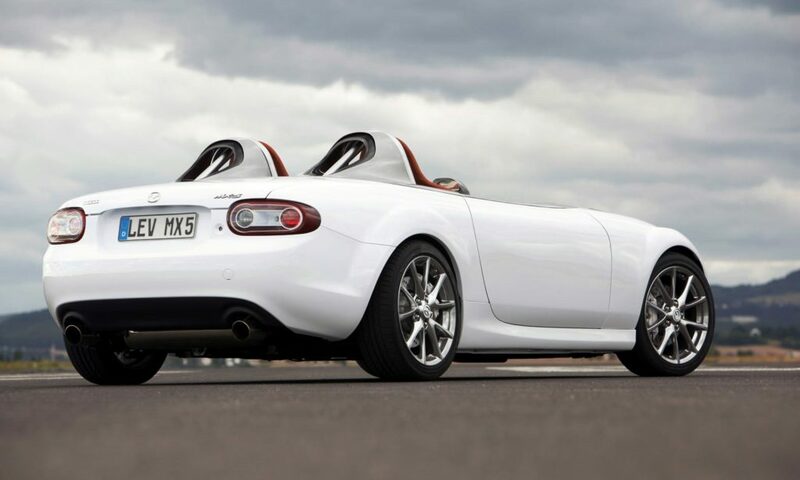 While SA may be a hatch-mad nation, over a million units of the Japanese roadster have been sold worldwide. 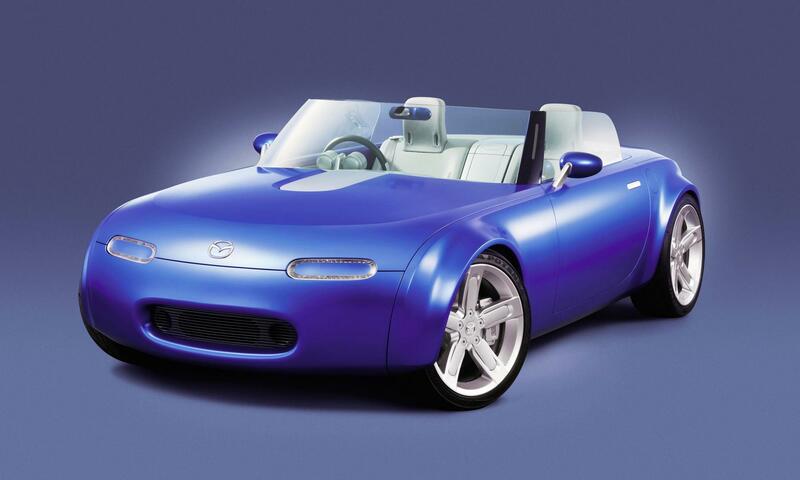 Since its release in 1989, there have been several MX-5 concept cars, some of which we’ve listed below. Click here to read about the 30 Anniversary Edition. Here, in chronological order are our favourite MX-5 concept cars. 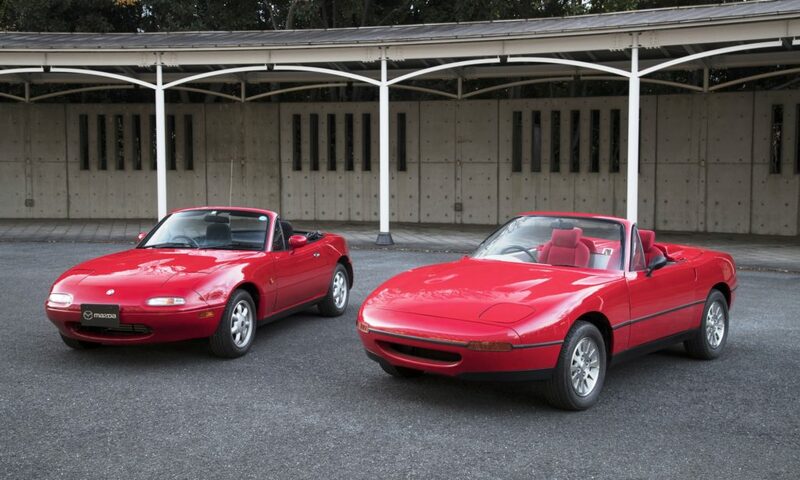 Seen here is the very first drivable prototype of the first generation MX-5, alongside its production successor. The car was completely usable and played a big role in developing the dynamic repertoire of the NA (first generation) MX-5. 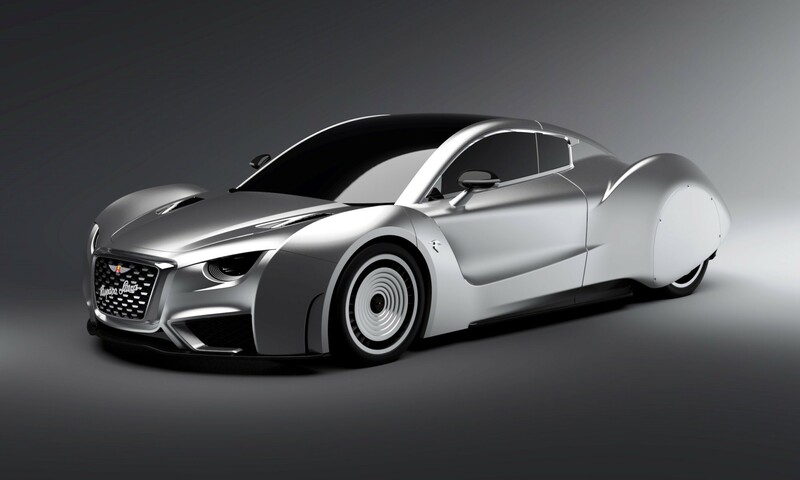 This car was created for the SEMA show and designed for the selfish driver. It was based on the NB (second) series. As the name says, it had a single seat. 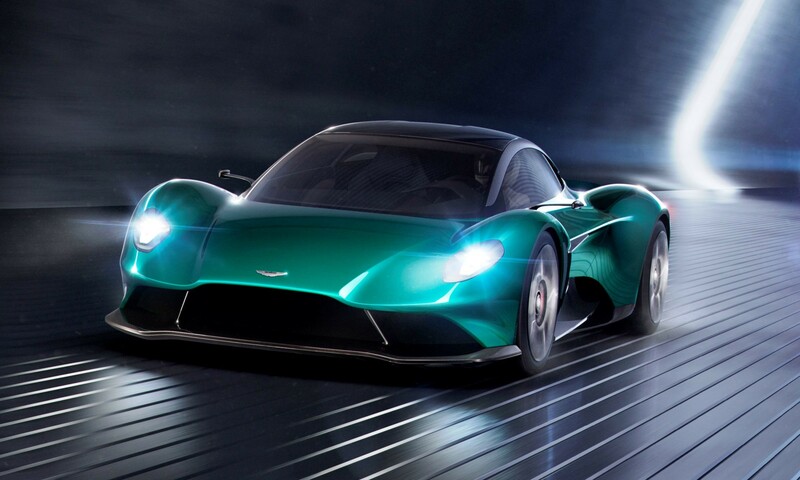 The retro-styled body was inspired by the Lotus 11 and Jaguar D-Type endurance racers. 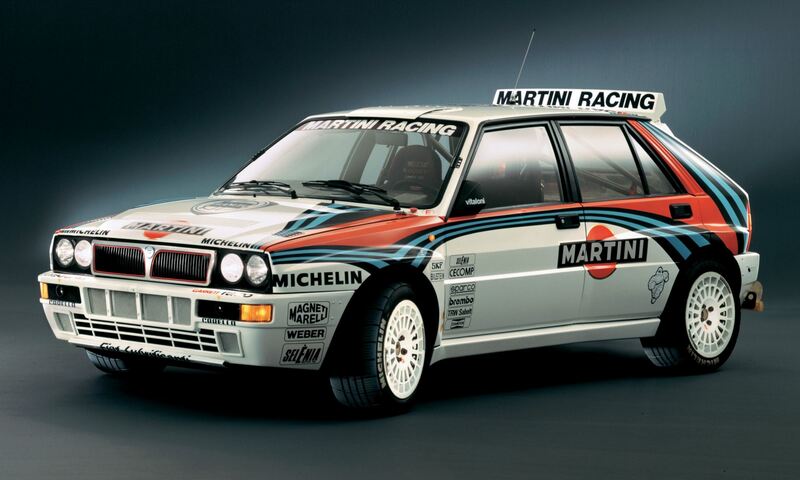 Under the bonnet was a turbocharged 1,8-litre engine with 140 kW and 330 N.m of torque. 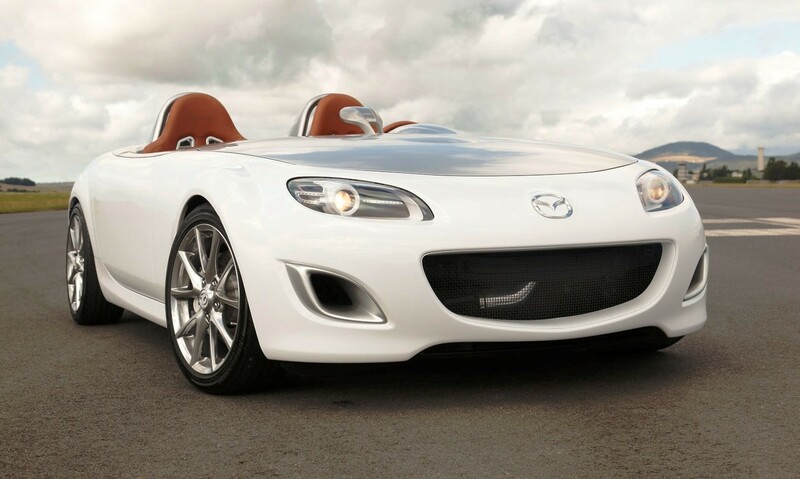 The MX-5 MPS roadster was developed to gauge the appetite for an upgraded NB model. The MPS featured numerous performance, functional and design enhancements. Mazda Speed, the same company that took the rotary 787B to victory at Le Mans in 1991, was tasked with tuning the motor. 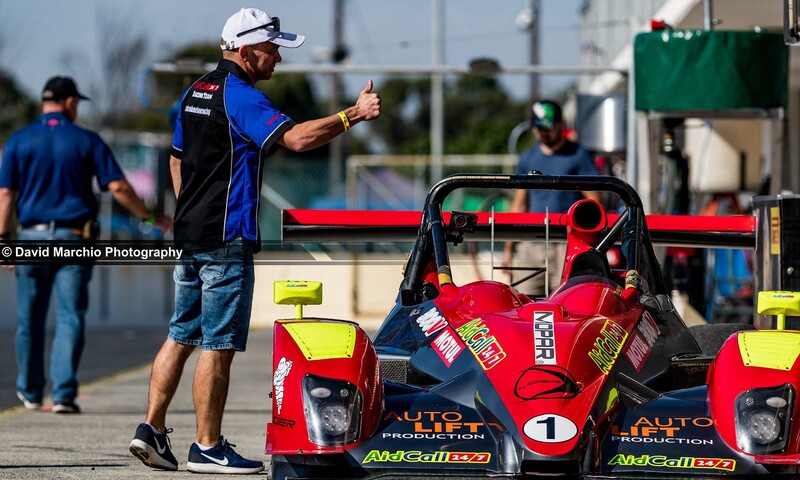 They managed to massage 147 kW from the 1,9-litre motor with the help of individual throttle bodies and aggressive camshafts. 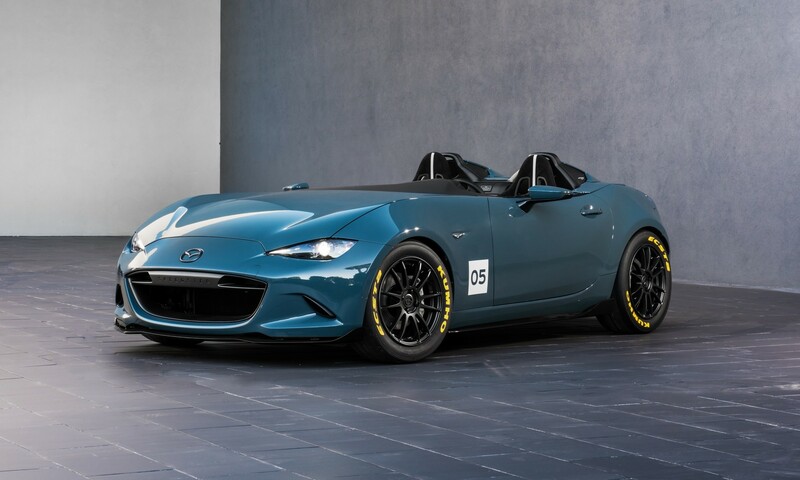 This funky looking one-off was the inspiration of the third generation (NC) MX-5. 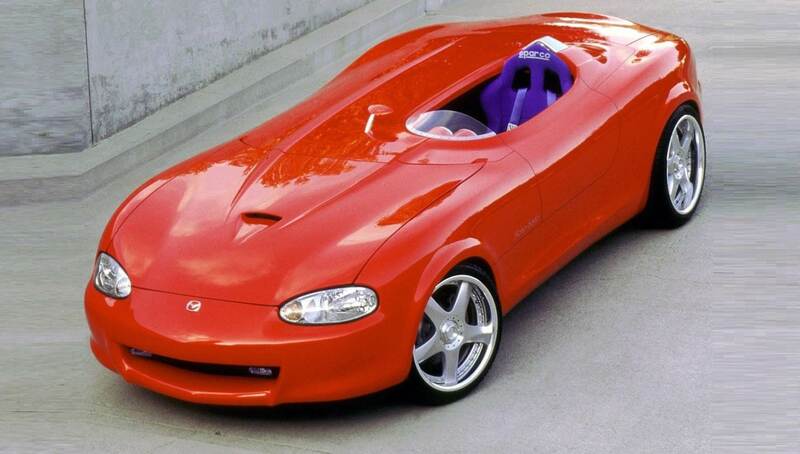 Ironically, this tiny car spawned the largest and heaviest MX-5 of all. The compact proportions of the concept were rendered even more diminutive by the use of 18-inch alloys. 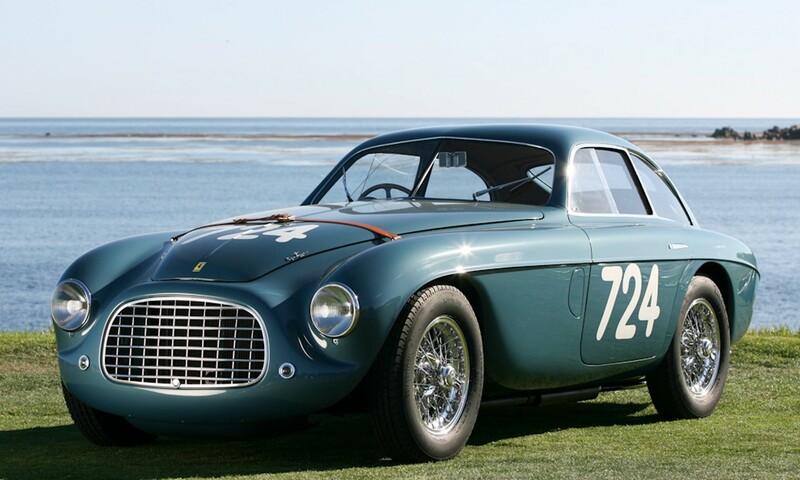 It had a 1,6-litre motor that was front-mid mounted. Ibuki was a hybrid in that it used a motor/generator to start, stop and assist the engine. 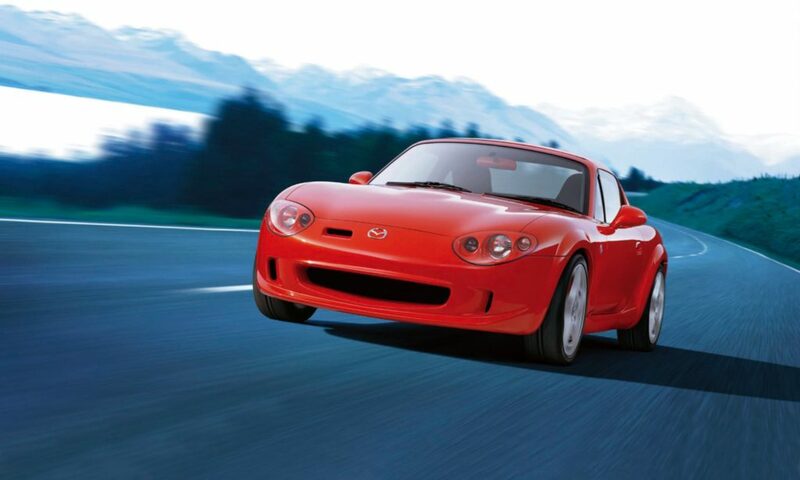 Mazda MX-5 Superlight was a show car that highlighted Mazda’s lightweight technology. It had no windshield, and sporty suspension setting for pure driving fun. Under the bonnet was an MZR 1,8-litre four-cylinder engine that developed 93 kW at 6 500 r/min. A Mazdaspeed cold air intake and a Mazdaspeed exhaust system were crafted for the Superlight. Bilstein B16 coilovers reduced ground clearance by 30 mm. 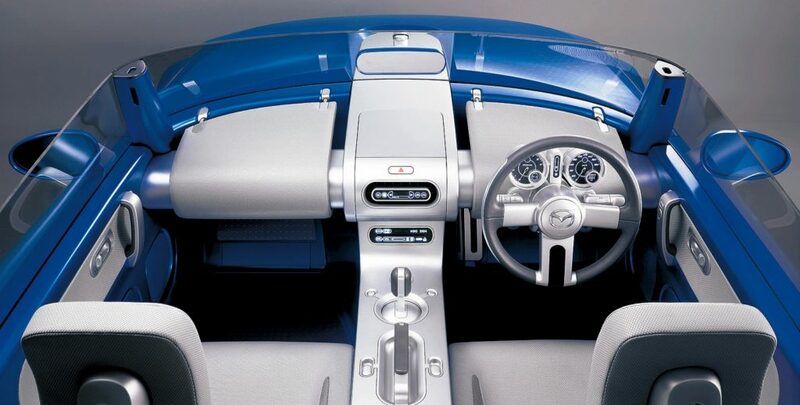 The Speedster was another model that concentrated on the ‘purity of driving’. The ND-based (fourth gen) had a raft of changes to give it a more aggressive appearance. The most obvious was removal of the hard-top. 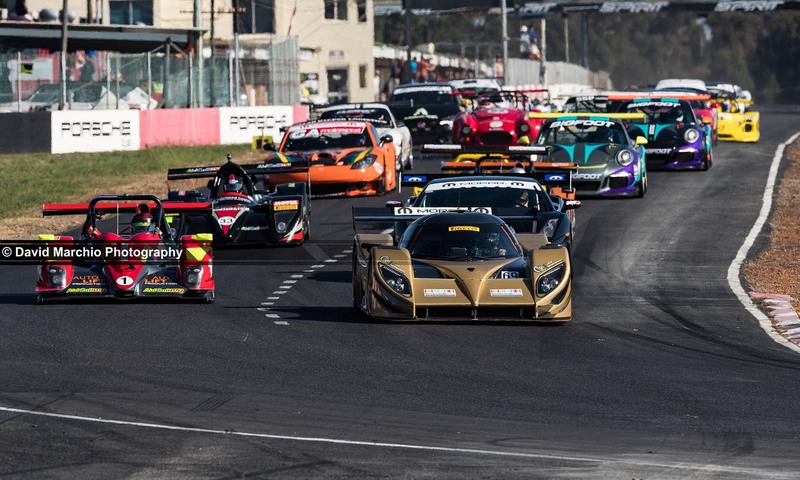 A body kit with splitter, side-skirts and rear diffuser gave it a hunkered down stance. Overall Mass was reduced by over 100 kg. Click here to see a video of the Speedster. This concept was put into production, sort of. The Global Cup Car Concept was a fully functioning racecar that served as the precursor for the vehicle racers could buy to race in the one-make series. 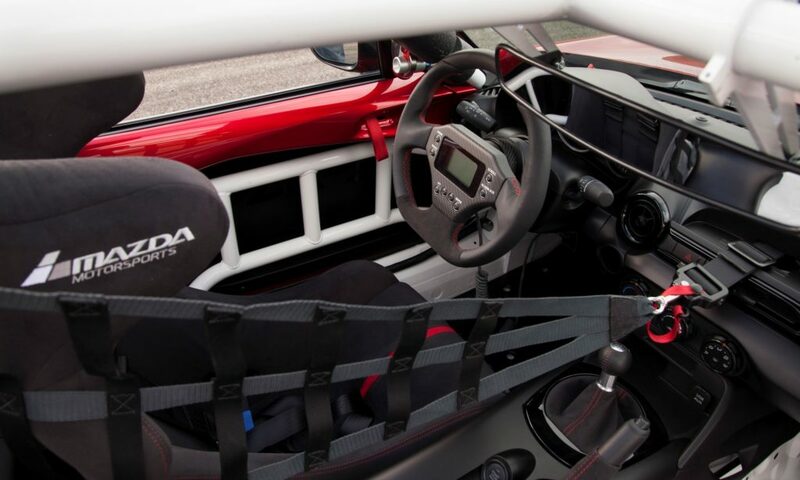 A roll cage, safety net, race seat with harness, and fully functioning race-style facia was all part of the concept car’s package. This is a video showcasing all four generations of MX-5 trying to answer that unanswerable question: which is best?